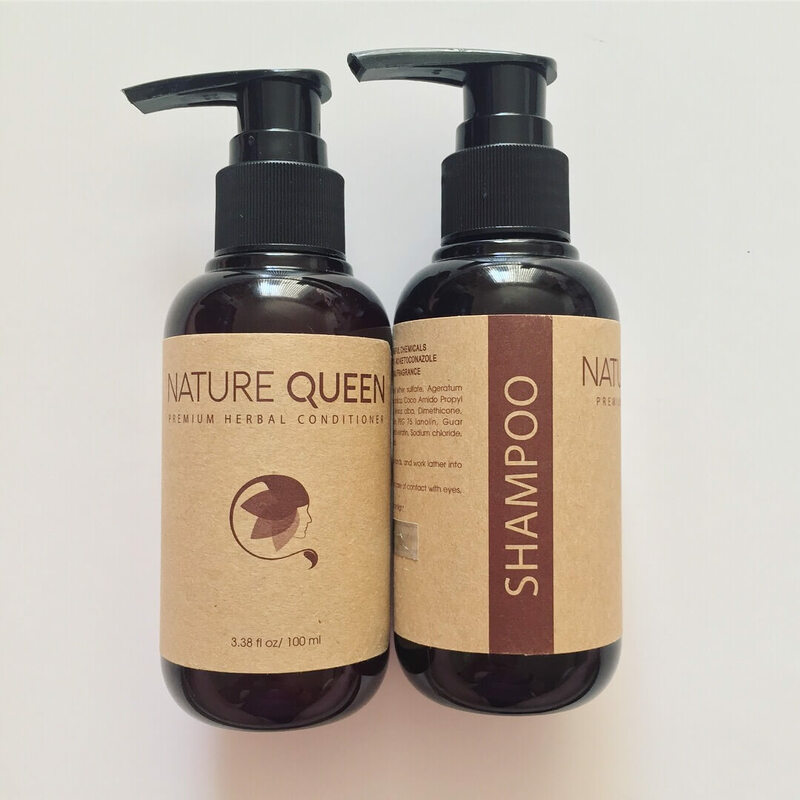 I was recently gifted a travel size set of a Herbal Shampoo & Conditioner by a company called Nature Queen. Having never heard of the brand or this product before I was excited to give it a try! 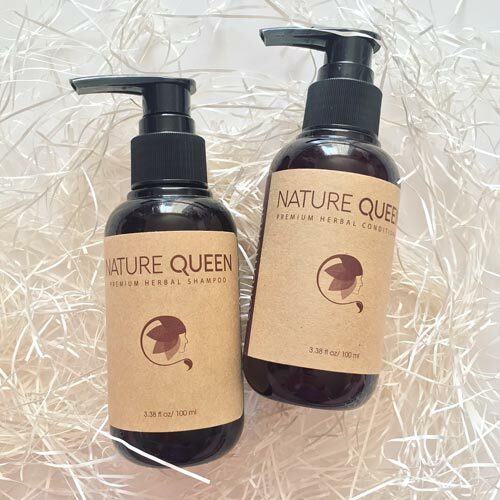 As the name Nature Queen may suggest, the formula is natural and free of harmful chemicals. The ingredients include nine natural extracts and essential oils, as well as Asian herbs, all of which promote hair growth and improve the condition of your scalp. The bottle and packing are also 100% recyclable. As stated on their website, Nature Queen’s goal is to stimulate hair growth and lessen the effects of hair loss while improving the overall condition of your scalp. The formula claims to aid with oiliness, dryness, irritation, hair loss and damage. First off, the smell of Nature Queen is absolutely amazing! It’s very natural smelling, much like you’d expect with the ingredients being herbal extracts & essential oils. The scent does last throughout the day, which I find to be a huge perk. I love when my hair smells good! Arguably the best part about the Nature Queen formula is that it’s completely natural. I prefer to use natural hair and skin care products that don’t include a bunch of chemicals, dyes, and perfumes. There’s just no need for them! I also love that they included herbal extracts in the formula, as that is not a common thing to find in shampoo & conditioner. I feel the herbal extracts make a huge difference in how the product performs, especially in regards to scalp care. Speaking of scalps, I have a difficult one! My hair is very coarse, wavy and frizzy, and my scalp is dry and oily all at the same time. After the first use of Nature Queen, I could tell immediately that my scalp felt less oily and itchy, and didn’t feel dried out. My hair felt soft and light but didn’t lose any of the natural fullness/volume that comes with having thick hair. I can’t say the product did much for my frizz, but it also didn’t claim that it would. To be fair, most shampoos and conditioners typically don’t help with my frizz, I almost always have to use some sort of serum, which is no biggie. As far as styling goes, I typically braid my hair and let it air dry (I try to keep as much heat off of it as possible). I noticed when styling my hair this way (aka keeping the heat off) it was very full and even a tad bit more wavy than usual (pre-braid). On the rare occasion when I did blow dry and straighten my hair with a flat iron, my hair was still very full (fuller than it typically is after straightening). I can’t speak to how well Nature Queen works for hair loss, as that is not a problem that I have nor something that I gauge, but based on my results and the fact that my hair remained so thick and voluminous after each use, I wouldn’t doubt that it could very well improve that issue for others. Overall, I think Nature Queen is an awesome product, especially for beauties who prefer natural hair care products and/or want to improve the condition of their scalp & hair. I think the herbal ingredients of this product are truly unique and beneficial. If you’re interested in learning more about the Nature Queen products, you can visit their website here: naturequeenbeauty.com. Disclosure: May contain affiliate links. Product was gifted to me. Post not sponsored. All opinions are my own. Nothing stated above should be used in lieu of professional medical advice. Yes! It’s definitely worth it.